Aigoual is Atelier Tuffery’s duffle coat. It’s a warm unisex coat in an innovative denim fabric comprising 48% Cévennes wool, giving this iconic piece, crafted in the purest tradition, a contemporary identity. Innovation : For this model in the Tailleur range, Atelier Tuffery has developed a new fabric with thermoregulatory properties. It comes from a local, ethical sector with a long history. It is an authentic serge comprising 48% French wool from the closest source to our workshop: wool from Lacaune sheep on the Méjean plateau. 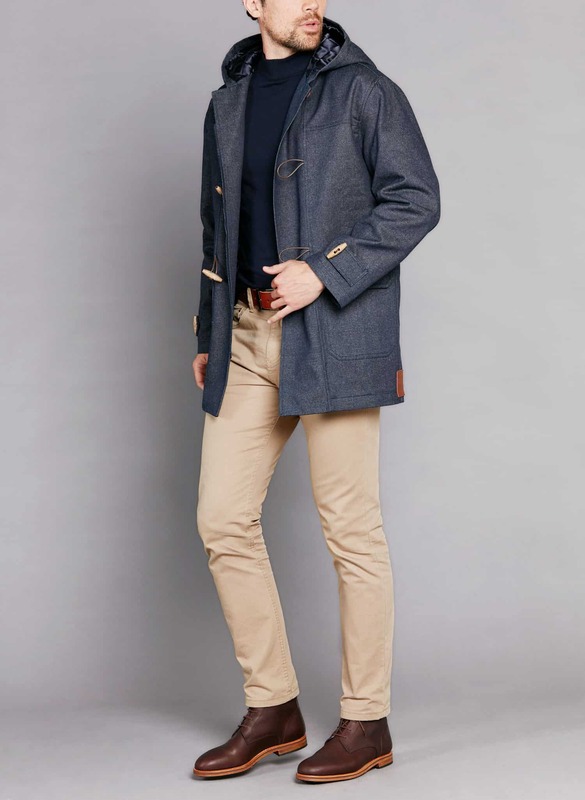 This lined coat with its deep indigo colour coupled with the warmth of wool provides an iconic piece combining comfort and elegance which is perfect for cold weather. A few simple maintenance instructions accompany each duffle coat.